Beginning today, our streets have apparently become, “a little safer”, according to our Federal Government. 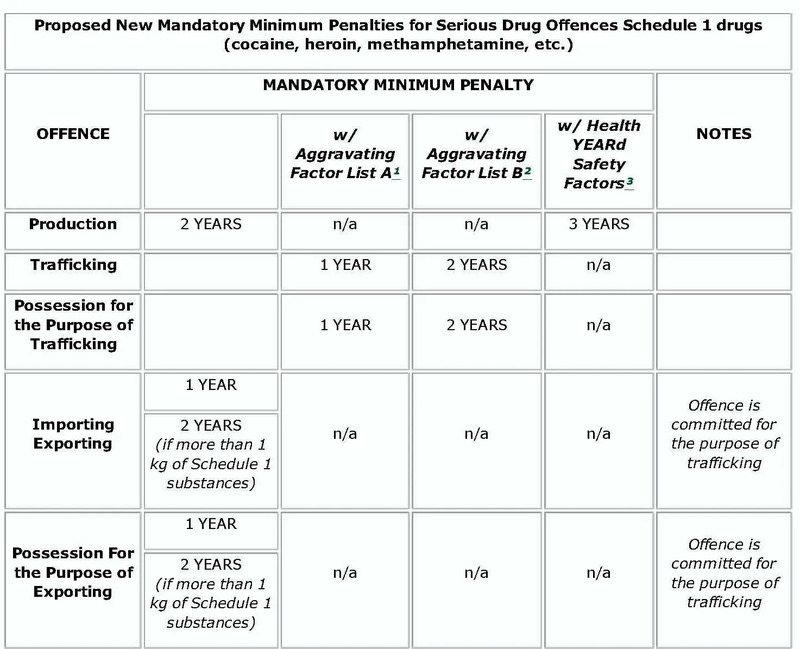 The Safe Streets & Communities Act, which came into force today, includes provisions that would establish mandatory minimum penalties for serious drug offences when they are carried out for organized crime purposes, or if they involve targeting youth, in addition to a variety of other situations that seemingly have nothing to do with either organized crime or protecting youth. Serious drug offences include production; trafficking; possession for the purpose of trafficking; importing and exporting; and possession for the purpose of exporting drugs listed in Schedule I, such as heroin, cocaine and methamphetamine, and in Schedule II, such as marijuana. 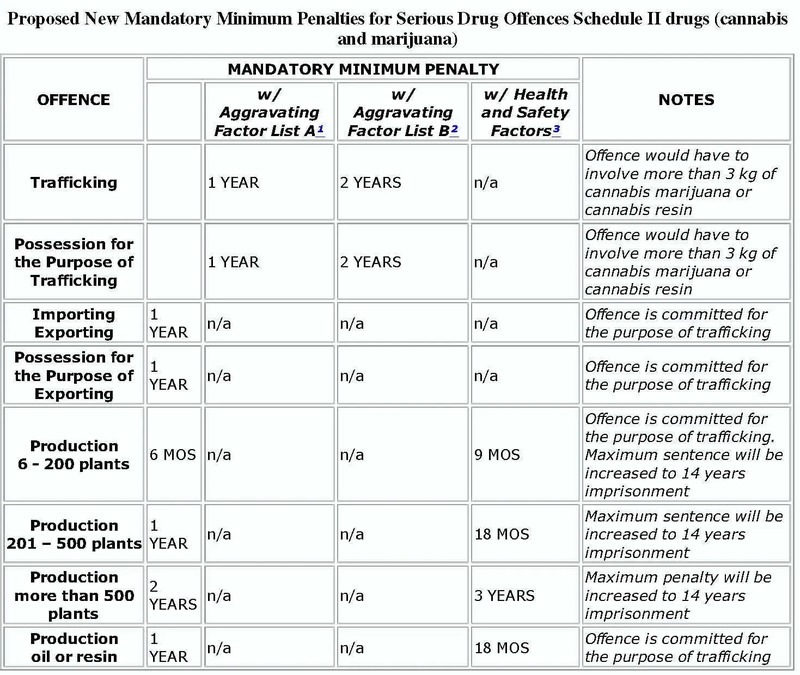 It is important to note that some drug offences such as producing or importing a schedule 1 substance will trigger mandatory minimum penalties regardless of whether or not an aggravating factor is present. Producing more than 5 plants of marijuana will also trigger the minimum sentences even in the absence of aggravating factors. 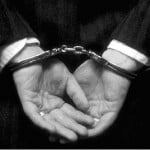 Follow this link to read more about how mandatory minimum sentences will adversely affect Canadians charged with drug crimes. Listed below are two charts which detail how the new legislation will be applied. through the abuse of authority or position or by abusing access to restricted area to commit the offence of importation/exportation and possession to export. So what Happens if its less then 5 like only two??? so…..someone i know got busted holding (possession of 6 mdma) pills – personal; 148 grams of pot, possession for the purpose of trafficking. She waived lawyer at time and admitted pills were for her use (not a planned purchase…by chance, in case for later kinda thing). Doesn’t matter the why…she had em. (She doesn’t do them now). The pot she admitted to selling, so that she could get what she “needed” for cheap or free…not to get rich off of. She has bad anxiety and HEP C but can’t seem to acquire a medical card for the pot….so we put it off thinking might be easier to get when she started treatment for the HEP C. This is her FIRST OFFENCE. She is a recovering (very bad opiate iv user addict). Got clean in August 2012, busted for the pot in February. She is still opiate free. I think the police thinks she is a bigger fish in our town than she is. As they searched her vehicle and brought her in a second time in like under two weeks of being busted. FOUND NOTHING. Trust me, she has learned her lesson. She now works, has one subject left in community college to complete her course. Takes on-line courses in spare time for real estate. blah blah blah (i know too much info lol). Anyway, we are paying a lawyer that won’t even tell us what he charges, just keep cheques coming. Her plea of guilty he is giving tomorrow and hopefully holding sentencing off till fall. For all the money we are paying he doesn’t seem optomistic he can get her a good deal on the sentencing. I am confused being first time dealing with this, kinda wanted a second opinion i guess.